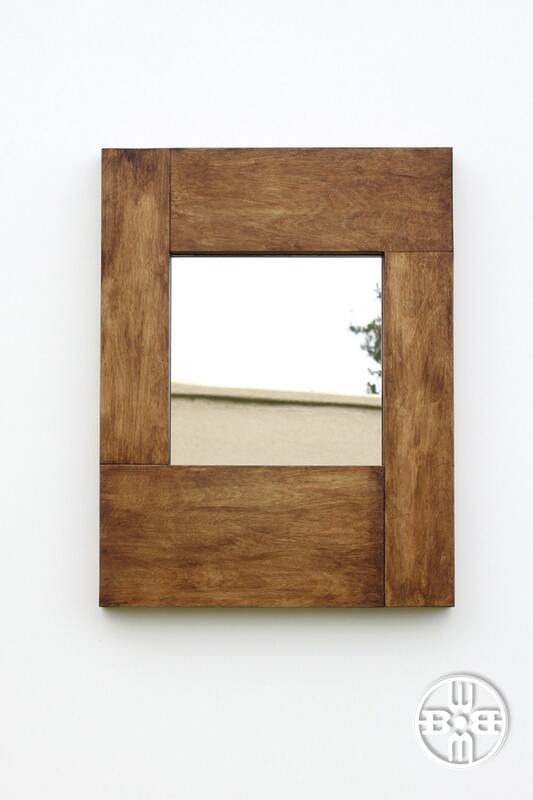 The Rustic Concealment Mirror is a variation of one of our very first designs for our first home, the "Stash Mirror." We had a wall that was rendered useless by the alarm panel, so we came up with this wall mounted mirror, which allowed us to add interest to the foyer and hide the unsightly device. 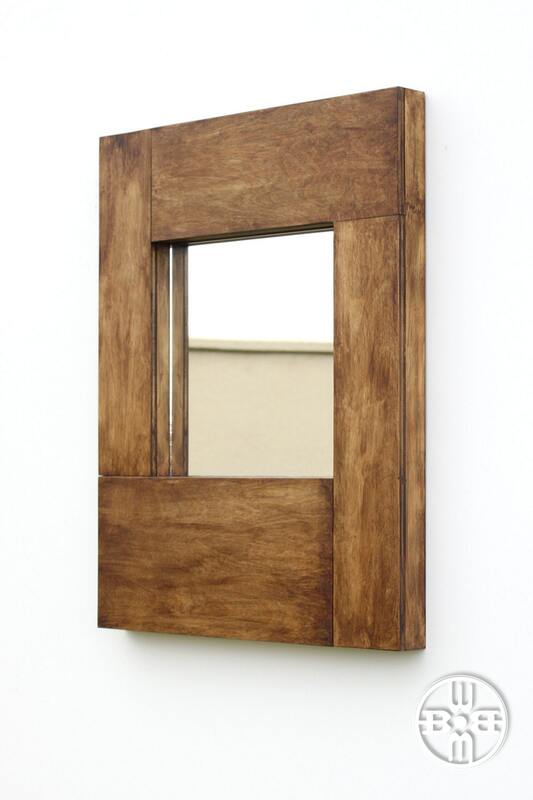 The mirror has a secret, hidden compartment that blends nicely with the rustic look of the design. Hide unsightly alarm and temperature keypads with our Wall Mounted Mirror. 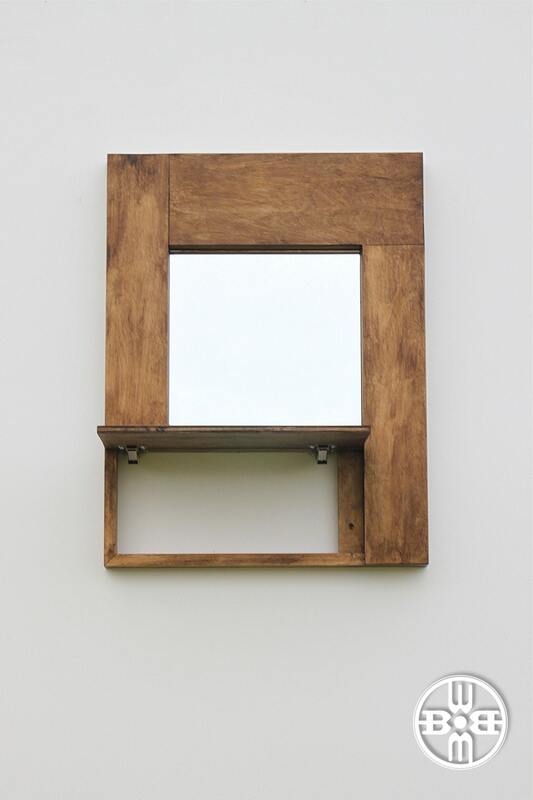 This rustic decor product features a 12" x 12" mirror and an approximate 13-7/8" x 6 3/8" x 1-1/2" concealed secret compartment. 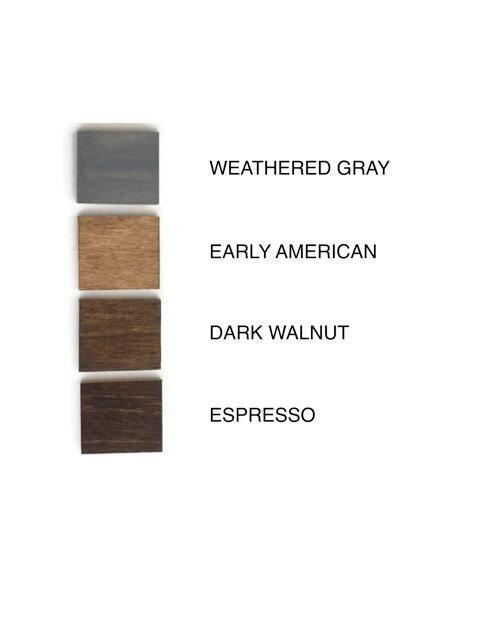 It is crafted from wood, stained the color of your choice, and finished with a matte clear coat. • Our mirror with secret compartment measures 26" Tall x 20" Wide x 2" Deep. The product ships with 2 easy-to-install key hooks for convenient key storage along with wall anchors and screws for installation. • Installation instructions are provided with the wall mounted mirror in the packaging. • Your Stash Mirror will be created and shipped out in 5-7 business days following receipt of payment. • Custom orders ship 7-10 business days following receipt of payment, and are final sale.